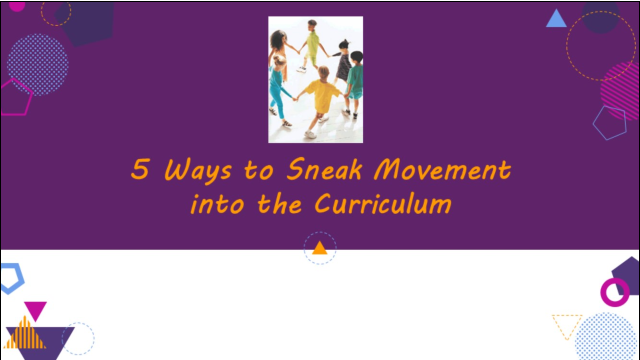 It’s really sad to have to talk about “sneaking” movement into the children’s day! Once upon a time, young children spent most of their days in an early childhood setting moving! Unless they were listening to a story or creating a work of art, they rarely sat. Unfortunately, that’s not the case today. I hate to tell you how many times someone at one of my presentations has said that an administrator has reprimanded them for doing an activity with the children that we all know is developmentally appropriate – and important!